Kidliterati: Author to Author: Interview with MAYDAY author Karen Harrington! 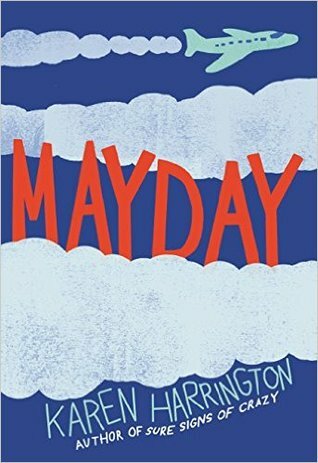 Author to Author: Interview with MAYDAY author Karen Harrington! Melanie: The plane crash at the opening of MAYDAY leaves Wayne without his voice, which he normally uses as a shield in social settings, and the burial flag for his beloved uncle, who was recently lost in combat. Not only does Wayne take these challenges on over the course of the story, he does so with utter charm and wit. How do you develop your character’s voice? KH: The development of each book has been different, but the one common denominator is that I write in a spiral notebook for weeks as if I’m writing his/her journal. Slowly, the voice and tone comes through. With Wayne, the process was unique because I’d met him in COURAGE FOR BEGINNERS, where he’s a minor character. It was fun to write his journal after that book. I learned that he came from a military family, which I didn’t know several years ago. Melanie: Wayne’s family is complicated. His parents are divorced, and after the crash his grandfather comes to live with Wayne and his mom. Wayne’s father isn’t that great at being a dad, and Wayne’s grandfather is tough on him at first, too. What motivates you to write about complex family relationships, which have equal measures of love and strife? KH: Well, there’s a beautiful complexity to every family I’ve ever seen so I suppose I want to reflect what I see in life. Wayne’s family is probably like a lot of families in that they are flawed, loving and doing their best. I lean toward big questions that I personally wrestle with in life. It’s been said better by other minds, but I often find myself writing pages to figure out what I think. Melanie: MAYDAY is rich in themes, and I love how many of the small elements tie together to reinforce the central ideas of finding the things we’ve lost and learning to find our voices in the toughest situations. Death also plays a role in the story. As you know, death is a major theme in Counting Thyme, and I often receive questions about how much we should share with kids about serious topics. What’s your take on that as an author? Melanie: One of the ways Wayne copes with sticky social moments is through distraction. He likes to share facts. There are so many fascinating and funny facts in this book, which I know kids will absolutely LOVE. Was Wayne always a fact collector from the beginning? Do you also collect facts? KH: I got to know Wayne as a minor character in COURAGE FOR BEGINNERS. In that story, he always had the right fact at the right moment and I loved that about him. And, as readers will learn in MAYDAY, Wayne began collecting, even absorbing facts, in elementary school. As for me, I’m a former speechwriter. My first role in our speechwriting department was as a researcher. I got paid to gather facts and interesting stories to support our speakers. I still love a great fact. Melanie: Finally, as an author and a reader, I absolutely love middle grade stories that show how people can grow and change—and that people are ALWAYS growing and changing. How do you feel that you are growing and changing as an author, now that your third middle grade novel is out in the world? Have your processes changed? Does it all finally feel real? KH: I think the biggest writing change is that I trust the drafting process. I have faith that large chunks of writing will be pruned from a draft and that they will be replaced by better or different material. There’s great freedom in knowing that. My processes haven’t changed much. I barrel through a first draft without looking back. I like to get that first wobbly draft on the page to see what ingredients I have to work with in the long run. Are you as funny as Wayne in real life? Because he’s HILARIOUS. KH: Do you know why aliens don’t eat clowns? Because they taste funny. KH: No, I learned from Wayne that 80% of all air crashes are survivable. Do you have any military personnel in your family? What’s your favorite pen to write with? Do you have a new middle grade story in the works? KH: Yes, but it’s so unformed I’m scared to say anything about it. It includes a tornado and an English chef, though. Thank you for having me here in Kidliterati! 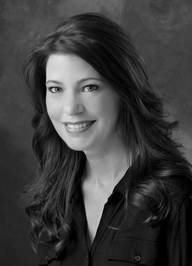 Karen Harrington is an author and former speechwriter. Her books include SURE SIGNS OF CRAZY (2013), COURAGE FOR BEGINNERS (2014) and MAYDAY (2016) all from Little, Brown Books for Young Readers. Her books have appeared on nine state reading lists. Sure Signs of Crazy was also a Kirkus Reviews Best Book of the year, a 2014 Notable Children’s Book selection from the Children’s Literature Assembly and a 2014 Bank Street Children’s Book Committee Best Book of the Year. Karen lives in Dallas, TX with her family, where she enjoys reading, writing, cooking and long walks with her rescue dog, Sam. Thanks for a wonderful interview, Karen! Thank you again for hosting me here on your blog. I've always loved reading your author posts!